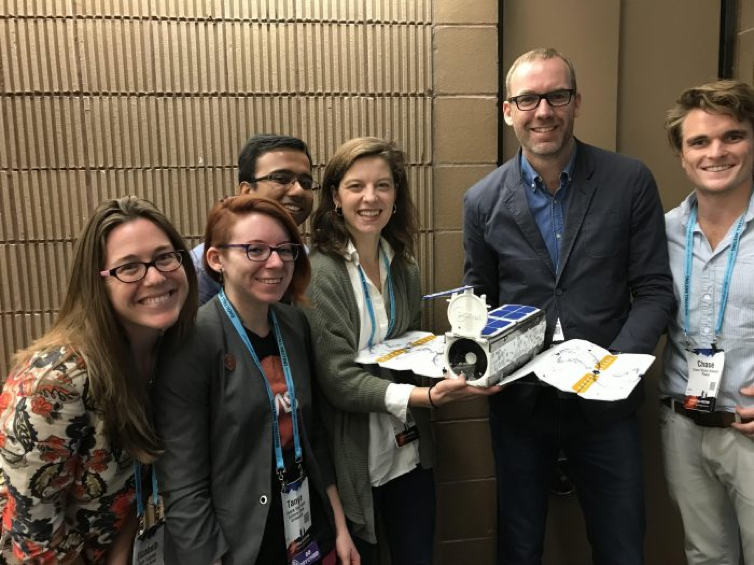 This past week, nearly 25,000 scientists, students, and professionals gathered in New Orleans, Louisiana for the largest Earth and space science meeting in the world – the American Geophysical Union (AGU) Fall Meeting. This annual conference brings together the best and brightest minds in pursuit of high quality science, knowledge and a more sustainable future. From tens of thousands of posters and oral research presentations to climate rapping keynotes and impromptu hallway brainstorm sessions, the flow of ideas, solutions and discoveries at the AGU conference is unparalleled. This year, Planet was joined by many members of our Education and Research Program, which enables university scientists and researchers to apply for non-commercial access to up to 10,000 km2 of data per month. With more than 1,000 users, members are now presenting, publishing, and socializing novel research made possible in part by Planet’s unique approach to Earth imaging. While many users were presenting their work on the scientific program, Planet also hosted a Town Hall featuring five of our “power users”. These users are some of the first to utilize Planet data into their research and are pioneering solutions incorporating small satellite data into remote sensing science. With insights and helpful feedback from these scientists, we are better equipped to improve the quality of our data and accomplish our goal to use space to help life on Earth. Planet’s Town Hall presenters. From left: Beth Tellman, Chief Scientist for Cloud-to-Street (and Planet commercial partner); Tanya Harrison, Director of Research at Arizonia State University New Space; Sam Roy, Ph.D. Candidate at Indiana University; Sarah Cooley, Postdoctoral Associate at Brown University; Matt McCabe, Professor at King Abdullah University of Science and Technology; Chase Brewster, Impact Analyst at Planet. During the week, two of our users and presenters learned that the peer-reviewed articles they’d led were accepted for publication – a timely surprise! Matt McCabe and colleagues used Planet and Landsat imagery in tandem to enable incredibly high spatial and temporal resolution estimates of crop leaf area index (LAI) and water use. The work was published in the journal of Water Resources Research, which is published by AGU: CubeSats in hydrology: ultrahigh-resolution insights into vegetation dynamics and terrestrial evaporation. Both studies present truly novel science, advance the fields of climate change, hydrology and agriculture, and provide great feedback to our team on refinements that would improve the science we can do. Congrats to Sarah, Matt, and their co-authors!